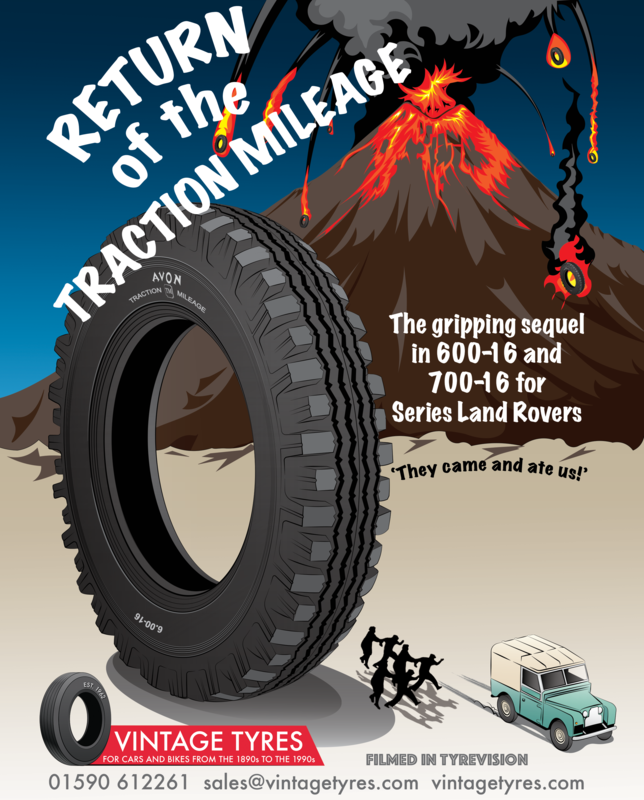 Based on an advert I did using a huge tyre surrounded by Land Rovers, my client came up with the idea of something similar in the style of a B-movie poster. 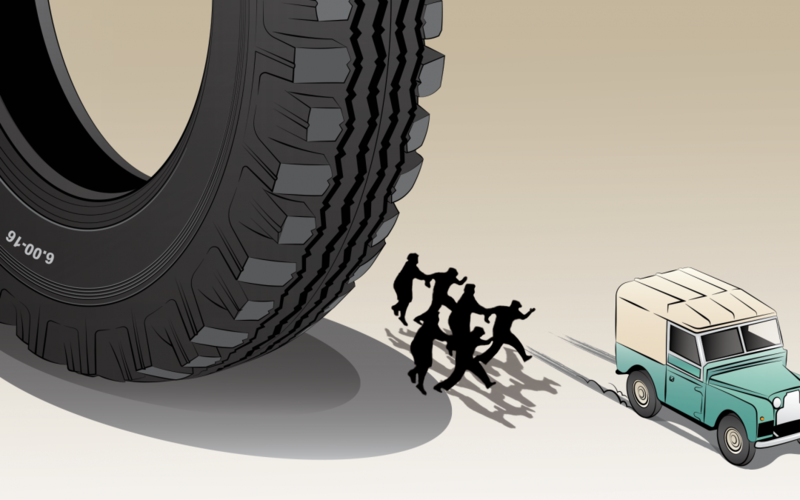 This seemed like fun, so we went ahead, adding screaming women and hordes of zombies. This got kind of cluttered, so we reduced it down to just a volcano, a few zombies and a Land Rover escaping stage right.